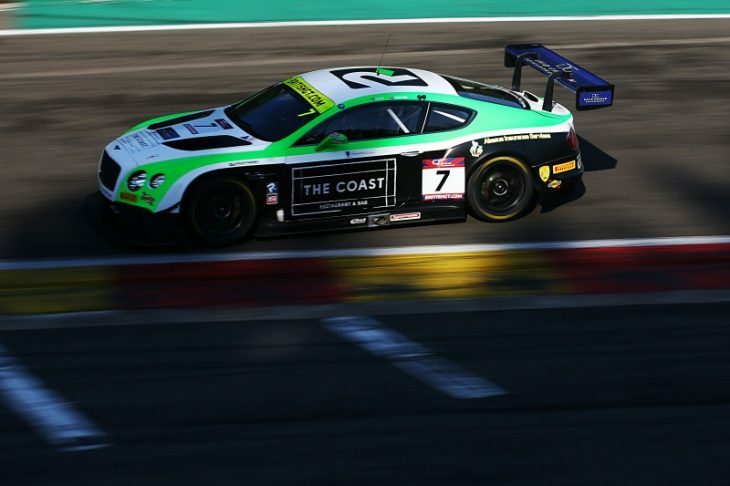 The #7 Team Parker Bentley Continental GT3 of Ian Loggie and Callum Macleod scored an impressive maiden British GT victory together in the second of the two hour-long British GT races at Spa Francorchamps. 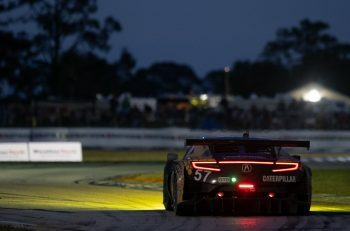 Loggie drove exceptionally in the second half of the race, catching and getting past a spinning Jon Minshaw to take the lead in the final minutes of the race. Barwell’s #33 Lamborghini of Minshaw and Phil Keen looked to have the race under control, after Keen built a comfortable lead by the end of the first stint to nullify the extra time required at the pit stops after his Race 1 win. In the end the dominance of the first half came to nothing, and the championship leaders would slip to ninth after Minshaw was clipped by a GT4 car through traffic at Piff Paff while holding a slim lead, allowing Loggie through to take the top spot. Second, behind the winning Bentley was eventually the #17 WRT Audi of Alain Ferte and Stuart Leonard ahead of the #24 Macmillan AMR Vantage of Jack Mitchell and James Littlejohn. Both benefited from the the Barwell Lambo’s misfortune, as well as that of the sister #31 Parker Bentley and Kessel Racing Ferrari. The second Bentley had to serve a drive-through from second place for exceeding track limits; Rick Parfitt would eventually come home seventh. And the Kessel Racing Ferrari was also set for a podium before it too was pinged for exceeding track limits, Piti Bhirombhakdi and Carlo van Dam would drop from third to eighth after being handed a time penalty after the race. Rounding out the top five in the race was the #11 TF Sport Aston Martin of Mark Farmer and Jon Barnes, and #70 Kornely Motorsport Mercedes which had a quiet run to the finish. The sister TF Sport Aston Martin claimed sixth, Derek Johnston had a spin trying to get past the Kessel Ferrari of Bhirombhakdi for a podium spot. 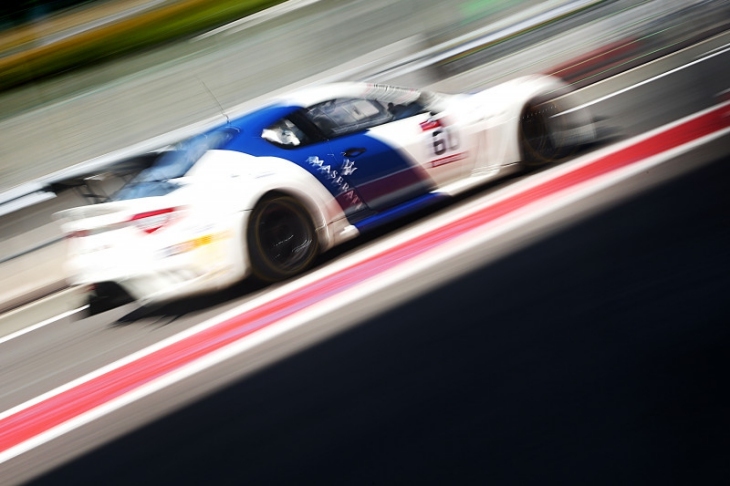 In GT4, Ebor GT’s Maserati completed the sweep of the weekend on its return to the series. It was another impressive drive through the field from the back by Charlie Fagg and Matthew Graham. Graham took the lead after starting last from Joe Osborne in the Tolman McLaren before the stops. The car then emerged at the hands of Fagg down in eighth after serving an extra long stop for being entered in the Silver class. Fagg completed the comeback, by steering the car to the lead as the race came to a close. “It’s been pretty amazing, to be honest,” Fagg said. 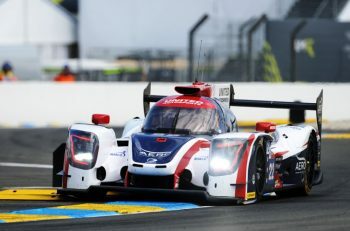 “We were really gutted after the problems in qualifying prevented us from setting a time after topping both practice sessions. We didn’t expect to win the first race, and definitely not the second with the extra pitstop success time, but I got my head down and enjoyed the battle, which is exactly what it was. It left the other two podium spots up for grabs. They were eventually taken by Will Tregurtha in the HHC Ginetta G55 who fought his way to take the place at the very end from David Pattison in the Tolman McLaren that eventually finished third. Fourth was taken by the Optimum Motorsport McLaren after a strong run to the finish by Graham Johnson, in which he briefly held third place behind Pattison. It was a good constellation prize after a tough weekend for the team, in which it started from the back in both races and lost out on a podium in Race 1 after being hit. The #42 Macmillan Aston Martin finished fifth, ahead of the #51 championship-leading Lanan Racing Ginetta. The #62 Academy Motorsport Vantage which led the GT4 class after the stops when Will Moore got past Pattison, but later had to serve a stop-go for the car’s pit stop being too quick, came home seventh. As expected the #100 Garage 59 McLaren 570S GT4 of Ciaran Haggerty and Sandy Mitchell didn’t take part in the second race, after being excluded from the Race 1 results and subsequently the meeting for a collision after the end of the first race with the HHC Ginetta.